My family and I surf Groupon Goods often when we are looking for deals. This site is useful when shopping, especially during the holidays. We can get discounts on travel attractions, when purchasing products for our home, when buying gift items for family and friends, as well as on services such as restaurants and health, beauty and wellness. The best thing about using Groupon is being able to save money on the products and services we want. I like that we do not have to pay membership or any other fees to use this service. It is easy as signing up for a no-fee, free account. We can surf the Groupon Goods website often to take advantage of the deals until the number of deals are sold. I like that we can narrow our search by the following categories electronics; for the home; women's fashion; men's fashion; baby, kids and toys; jewelry and watches; heath and beauty; sports and outdoors; grocery, household and pets; entertainment; auto and home improvement. We have signed up to get emails with deals on products that interests us, including restaurants, health, beauty and wellness groupons such as massages, and travel deals that are close to our home. 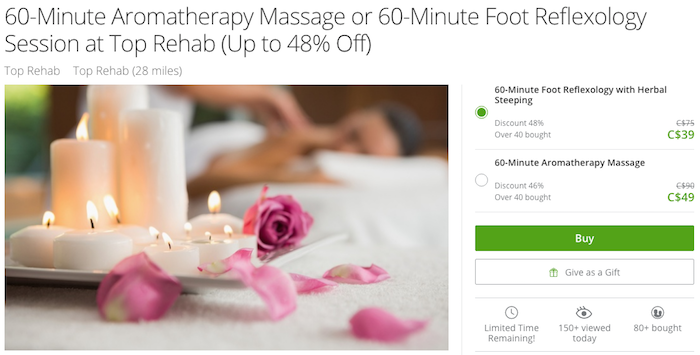 Check out the Groupon website, and sign up for free to take advantage of the deals. I love all the great deals that can be found on Groupon! I just received an ipad case that I ordered from there and I love it. And it was a way better deal than any of the stores offered! I love the fabulous deals that I can get with Groupon!They have everything I have ever looked for and their prices can't be beat. I must take a better look at groupon deals in my area. never tried using Groupon yet..will have to look into it!